Get Better Sounding Mixes – Learn The Basics Of Mixing and Mastering. Why spend a lot of money on “full courses” on mixing and mastering when you can simply get the basics of Mixing and Mastering for a fraction of the cost? A vast majority of the time, all you need to get better at any profession is “learning the basics and constant practice”. You go in depth the more you practice the profession. But to practice the profession you need to understand the basics. In this video series I will explain and break down my mixing and mastering process to you and teach you the basics of an EQ, Compressor, Reverb, Delay and much more. 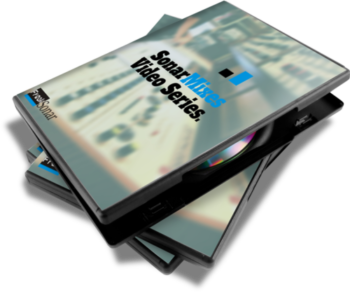 Purchase The SonarMixes Mixing and Mastering Basics Tutorial to get better at mixing music and mastering your music on your own. Mixing and Mastering Afrobeat music is not rocket science. Most times all you just need to get started on your journey into the world of audio mixing and mastering is to understand the basics of the skill. 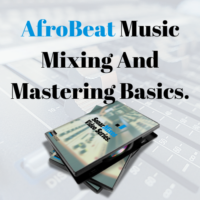 This video series from SONAR on mixing and mastering is properly put up for beginners and is geared towards getting you up to speed with what it actually means to be a mix and master pro when it comes to any genre of music, most especially Afrobeat music. 8 videos is all it takes to learn the basics. Learn the basics of mixing and mastering today and take your tracks to the next level! Impressed? You too can get tracks that sound as awesome as they sound. Purchase the tutorial basics and get started! Make good music today.